You have 2 home loan programs that offer no money down to purchase a home in California. The first lending program is the VA home loan, most be an active or retired service member and the 2nd program is the USDA-RD home loan program. Lets explore the 1st program, the VA home loan.  This program offers no money down, no monthly mortgage insurance and no pre-pay penalty, can pay the loan off at any time without pay extra to do so. If you are a disabled veteran at 20% or more by the VA then your VA funding Fee is waived. The VA funding fee is a fee that the Veteran's Affairs charges the Veteran to obtain a VA home loan. The 1st time use is 2.15% and 2nd time use is 3.30%, this also depends on the branch of service that you are or were enlisted in. See VA funding fee chart HERE. The VA home loan program is the best performing loan program on the market today. 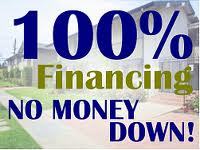 With no money down at 100% financing, why not take advantage home this program to purchase a home. I enjoy working with active and retired military personal with their home loan needs. You may hear from other people or Real Estate Agents that the seller is not looking at VA offers because of the lending guidelines. The VA home loan program is not the same as year past, When you hear something negative about a Veteran purchasing a home utilizing their VA benefit, please do not listen to them. When you hear that from a lender or Realtor®, walk the other way because they will only hamper your efforts to purchase a home. I have had the privilege to work with many VA home buyers and real estate agents who have successfully purchase a home on the VA home loan program. Military personal deserve to own a home despite what lending program they are using, the only program is the VA. The 2nd home loan program at 100% financing with no money down is the, USDA-RD (United States Department of Agriculture Rural Development) home loan program. This program is offered in areas of the county that you are looking to purchase in with no money down. The USDA home loan program has benefits such as as no money down and if the appraised value comes in higher than the agreed upon purchase amount then you are able to financing your closing cost in the loan. Essentially you can purchase a home utilizing the USDA home loan with the appraisal, credit and home inspection cost, which should be just about $1000. Just another great purchase program to own a home with no much out of pocket cost. If you wish to explore one of these great home loan programs, call me directly at 909-503-5600.